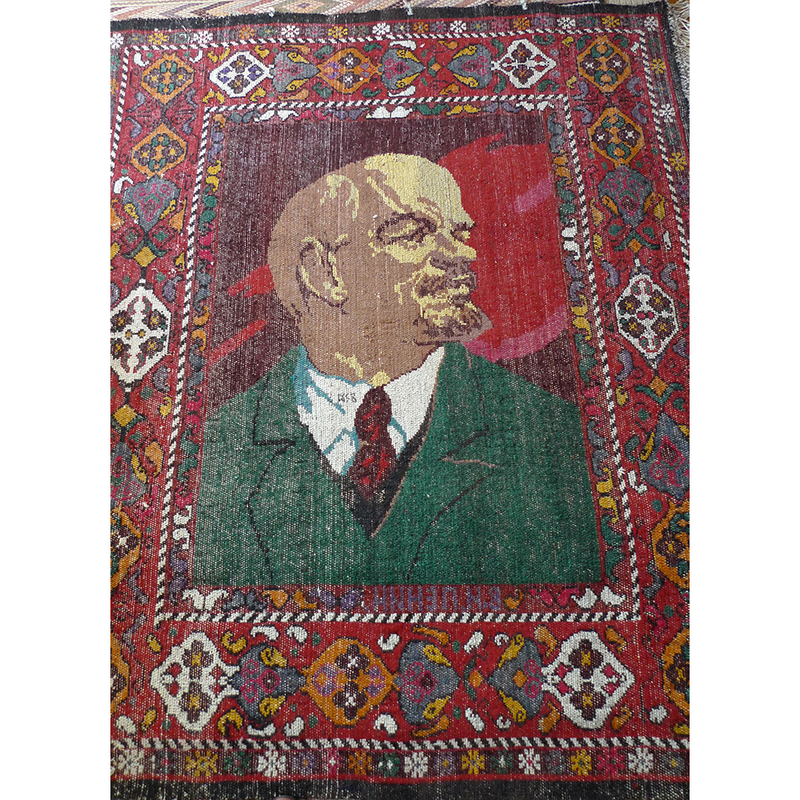 Cult of Personality rugs with larger-than-life portraits of Soviet leaders were popular during this period. 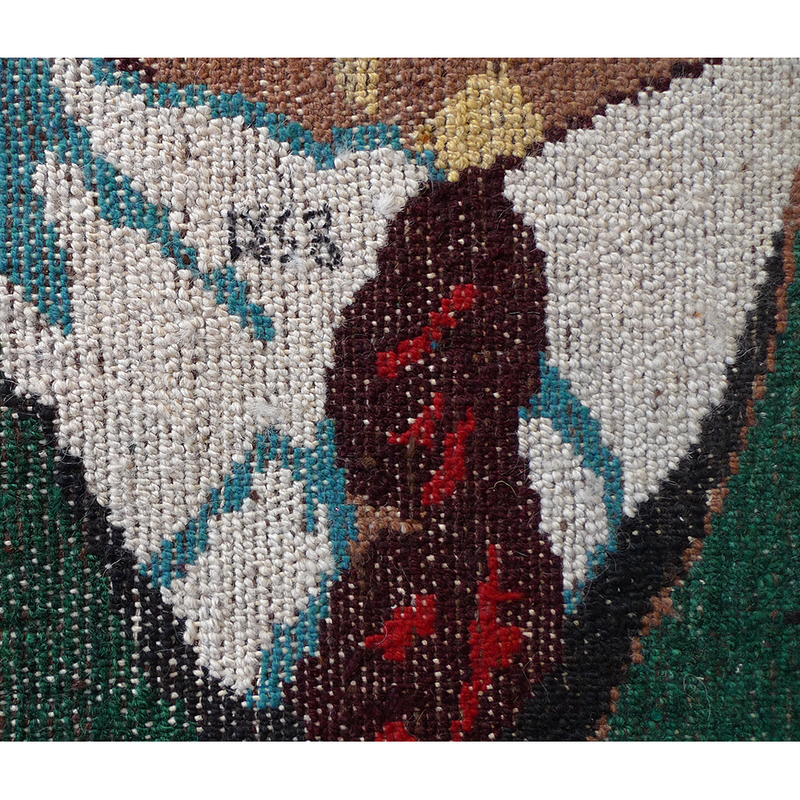 They were used mainly as wall hangings. 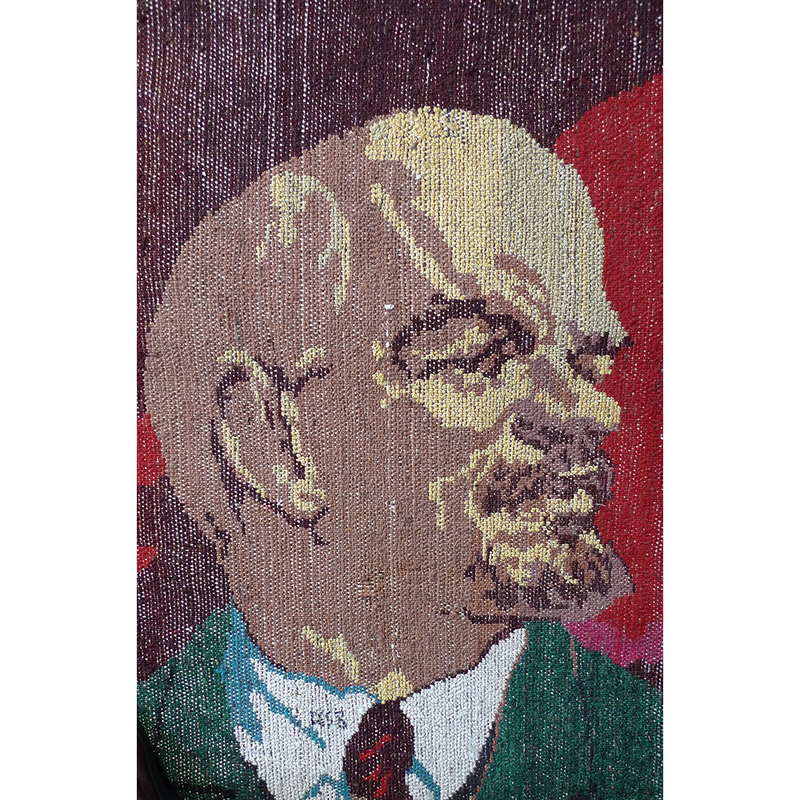 This rug features Vladimir Ilyich Lenin (1870-1924) in an iconic pose against a bold splash of red. 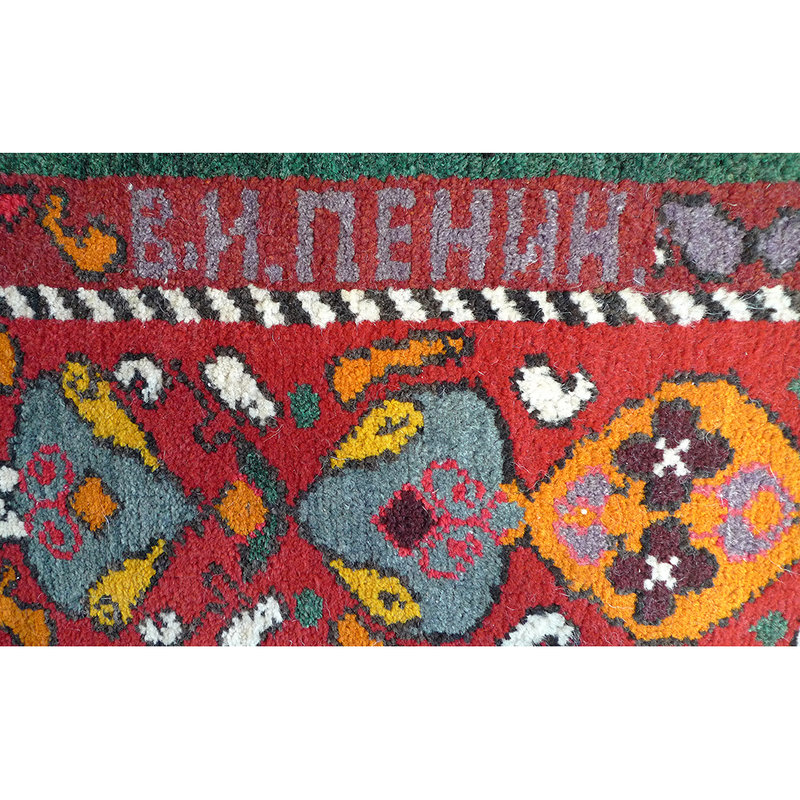 Traditional Central Asian rug motifs make up the border. The Cyrillic letters spell out: “V.I. Lenin”. 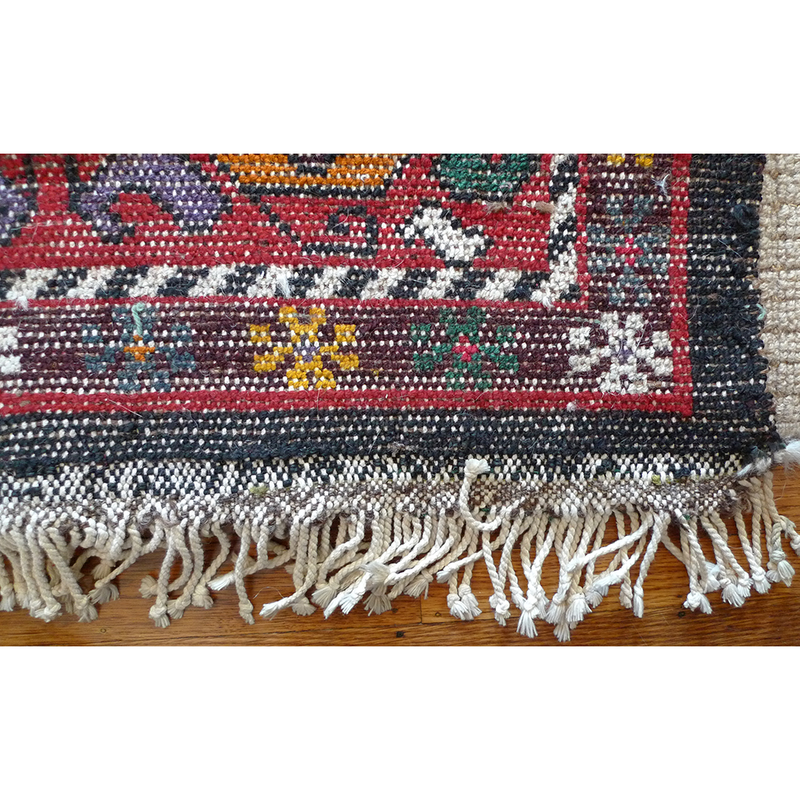 The last four photos show the reverse side of the rug. 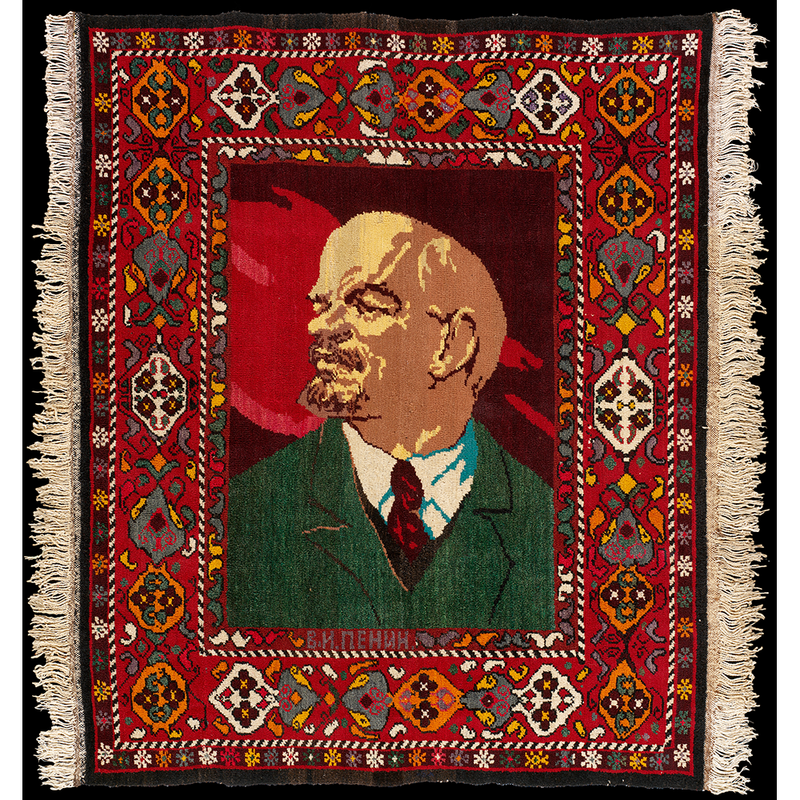 If you are interested in this Cult of Personality Lenin rug please contact Susan Meller.